A powerful earthquake struck off the coast of Fiji on Wednesday, prompting a brief tsunami warning for the Pacific island nation. There were no immediate reports of damage or injuries. The magnitude 7.2 quake, which hit at 9:52 a.m. local time, struck about 220 kilometers (135 miles) southwest of the tourist hub of Nadi, the U.S. Geological Survey said. The quake was a relatively shallow 15 kilometers (9 miles) deep. Shallower quakes generally cause more damage than ones that strike deeper. 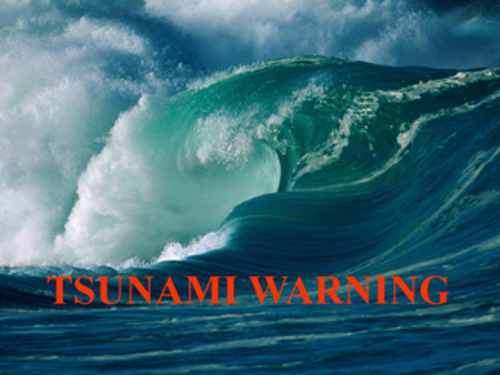 The Pacific Tsunami Warning Center issued a tsunami warning for coastlines within 300 kilometers (190 miles) of the epicenter, then lifted the warning about an hour later. A tsunami of just 1 centimeter (less than an inch) was observed in the capital of Suva, the center said. Fiji’s Principal Disaster Management Officer, Sunia Ratulevu, said there had been no reports of damage or injuries from the quake, and no unusual wave activity had been reported. 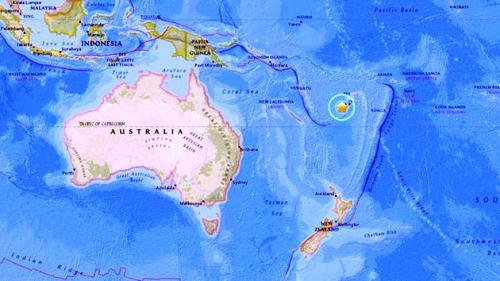 The quake struck far offshore and was not felt in Suva or Nadi, he said. There have been several big aftershocks in the same area. The strongest two had a magnitude of 5.2 and 5.4. When the tsunami alert was issued, people in Suva fled their offices and headed inland, Ratulevu said. But by early afternoon, authorities were telling people the threat had passed and it was safe to return to work. Fiji is prone to earthquakes because of its location on the “Ring of Fire,” an arc of seismic faults around the Pacific Ocean. There was no threat to nearby Pacific island nations Vanuatu and New Caledonia, authorities said. A 2004 quake and tsunami killed a total of 230,000 people in a dozen countries, most of them in Aceh, Indonesia.